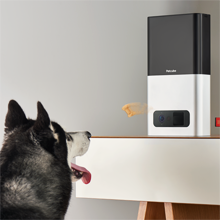 Petcube Bites HD 1080p Interactive Pet Camera. 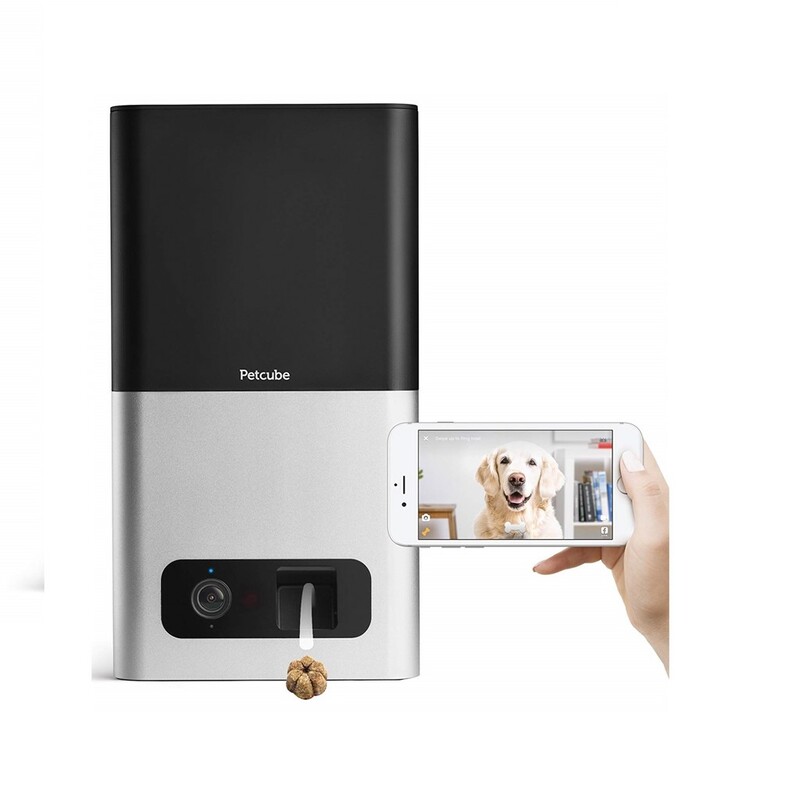 Petcube is reinventing pet care, and is one of the bestselling pet camera brand. Winner of the 2017 Edison Award for Innovation and Wearable Award for Smart Home. Petcube supports rescues. Through the free Petcube App, play with adoptable pets from our rescue partners. With over 100,000 satisfied pet parents. 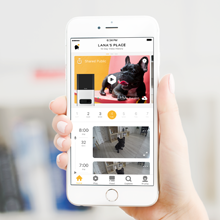 Download the free Petcube App now and try before you buy it. 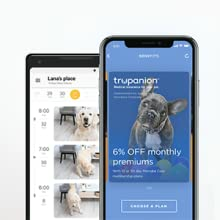 From the app on your phone, see your pet in clear HD and night vision, fling treats, say hello using two-way talk, and get motion and sound alerts. Have peace of mind that your furkid & home are safe. 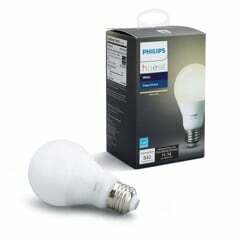 Stylish and durable, this cam will look good in any interior, comes with a high capacity two-pound container. 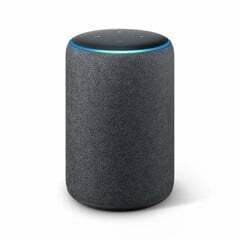 Also works with Amazon Alexa. 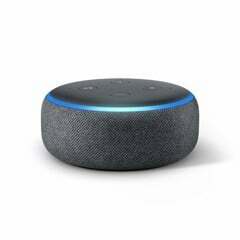 Just ask Alexa to treat your pet, go hands-free. 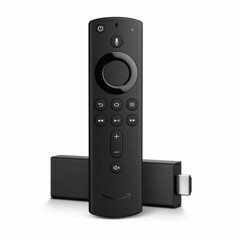 Free basic video cloud storage plan is included. Tasty and healthy Wellness brand Dog Treats are included. Multi-cam ability: connect up 6 cameras to your account and keep tabs on all of the important areas of your home. 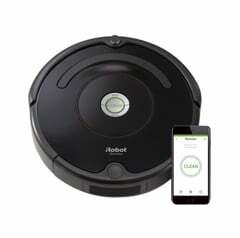 Toss treats from your smartphone varying distances - up to 6 feet. From the Petcube App, fling treats Angry-Birds style, or schedule automatic custom treat dispensing. Receive a notification when your device is running low on treats. Wellness dog treats are included with each purchase. 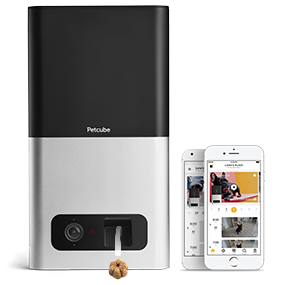 Petcube Bites treat cam is compatible with a variety of treat brands. Use crunchy treats with dimensions of 1” or less. Custom in-app setting to small or large treats. 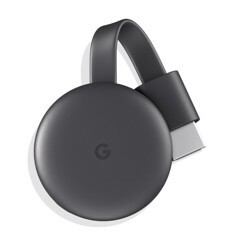 Every camera comes with a 7-day free trial subscription to a Petcube Care membership: 24/7 video cloud storage and interactive video timeline clips, triggered by sound and motion notification. You can opt to continue your subscription to get up to 30 days of video history plus members-only pet care perks. After your Petcube Care trial ends, you’ll still get the latest 4-hour video history of your pet’s activities for free. Find out what your pets are up to in the middle of the night. 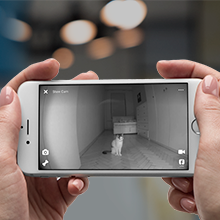 In low light and no-light conditions, see things clearly with the night vision feature and be sure your pet is safe. With 3x digital zoom no detail will escape you, day or night. Easily save videoclips from your timeline to share with friends and family.